Bricks have been used as a building material since around 10,000 BC. They were originally made by the Egyptians, using a mixture of mud and straw that was left out to dry under the hot Egyptian sun. As time moved on, the use of Kilns to fire bricks was discovered, resulting in a brick that was as hard as stone and virtually indestructible. Since then, brick has been a very popular choice as an alternative building material to stone. Bricks were particularly popular in Europe, where stone was not readily available, and much of the Gothic architecture of Italy, Germany and the Scandinavian countries used this material. Not only was brick an extremely durable material, now made of clay fired in kilns, it was also a lot lighter and easier to work with than the much heavier stone. Bricks really became the dominant building material used in England and Ireland in the Georgian and Victorian periods, and right throughout the 20th century. Red brick construction has left a beautiful legacy of stunning architecture with rich patterns in our cities. Indeed, a lot of these red brick constructions built during the Georgian and Victorian eras are still very much intact today and some in excellent condition. Red brick homes are prevalent throughout Dublin – from the very large Georgian mansions to the smaller cottages and terraced houses built for workers around the City. The majority of the bricks used in Georgian Dublin along the eastern coast were imported from England. They were brought in as ballast for ships which would otherwise have come back empty after taking over corn and other food stuffs from Ireland. Another interesting fact is that, as wages increased in Victorian times, bricks became bigger. Bricklayers were paid by the brick, so this reduced construction costs by up to 20%! Bricks are an extremely durable and weatherproof material, the proof is in the huge number of old brick buildings that are still in fabulous condition throughout Dublin. 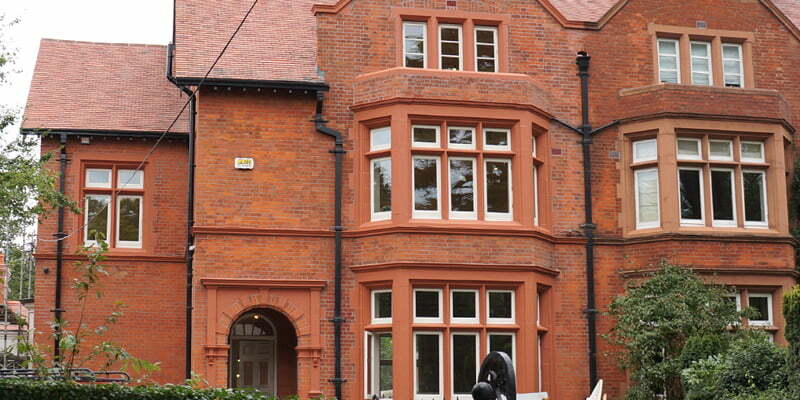 Exposure to damaging pollutants such as carbon dioxide can deteriorate the condition of your red brick facade. Moisture is the primary cause of masonry decay and the correct cleaning of a facade allows for the normal transpiration of moisture. 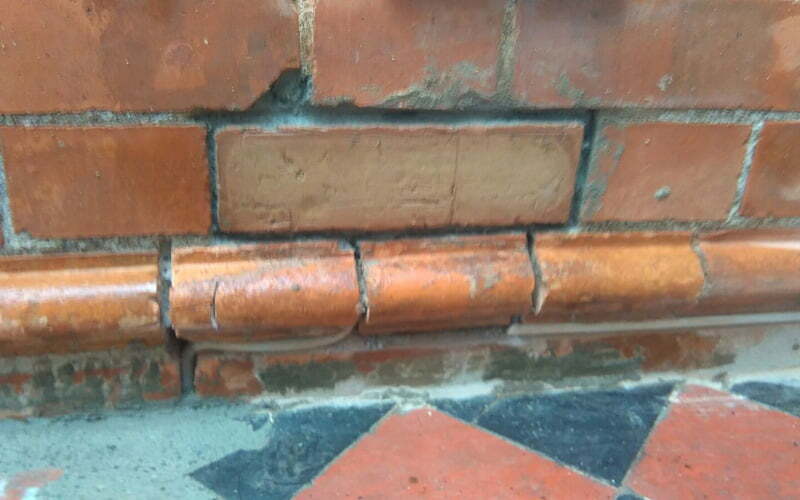 Re-sealing with an impregnator once cleaned, allowing the masonry to breathe, is essential. The first step in cleaning a brick facade is to remove all organic soiling. This will not remove carbon or paint. 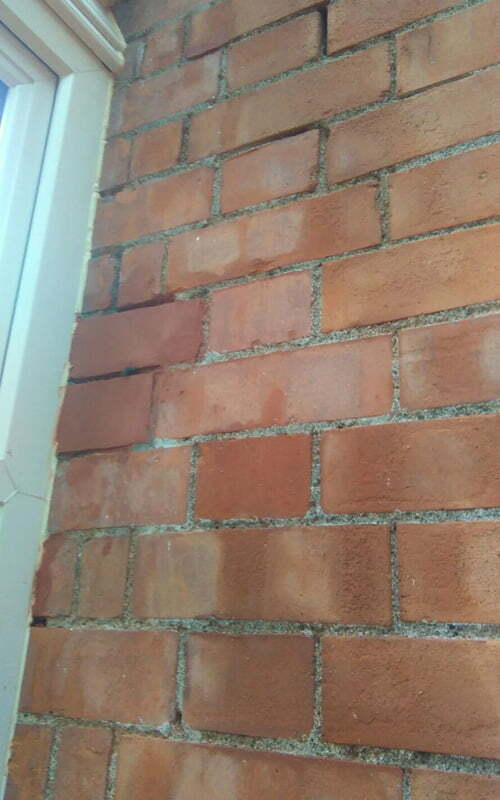 We use custom-made, low-pressure steam cleaning machines to treat the brick, in conjunction with our Softwash system. This is the safest method to clean brick. Work like this can generally be carried out using a cherry picker. No chemicals are used, so this method is also completely safe for the environment. As we are only using steam, there is no need to protect windows or your neighbour’s property. We also clean your windows and your neighbours’ windows once work is complete! Never attempt to clean your bricks with pressure, such as a high-pressure washer. 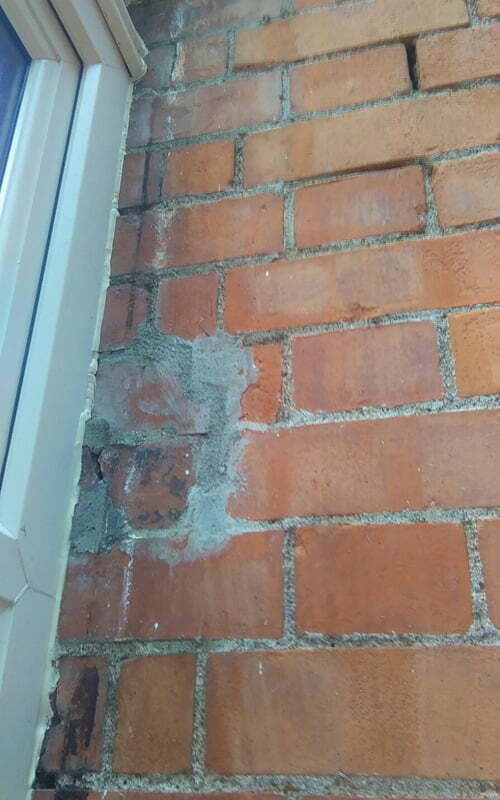 This will damage the surface of your brick, remove pointing and accelerate the ingress of water causing further damage down the line. Cleaning a regular red brick terrace house would take our team about two or three days to complete. You should allow from €1,500 for this service. A full chemical clean needs to be carried out from the safety of a scaffold, with a full monoflec wrap. The scaffold often ends up being more expensive than the actual service, so is generally done in conjunction with other works. All areas not to be treated are protected. The bricks are initially washed using a mild detergent, and then the chemical is worked into the bricks. 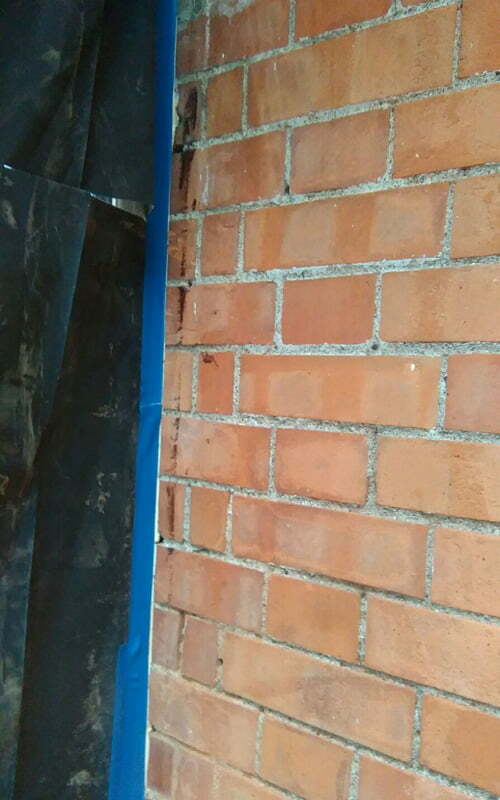 The type of chemical and dwell time is determined by the level of contamination, condition of the bricks and how clean you require your property to look. It is not a good idea to over-clean your facade as it will just stand out and not fit in with the environment. 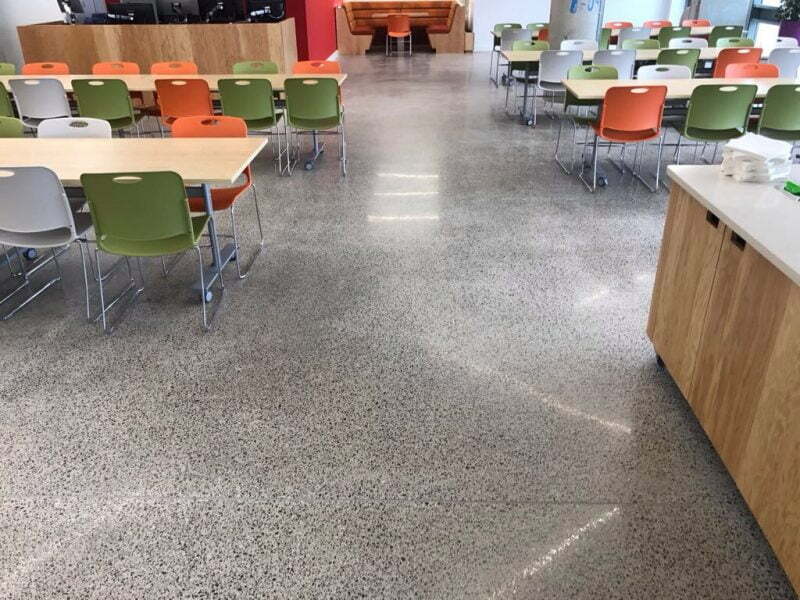 Samples will always be carried out on site prior to commencement to show you what level of finish you can expect. 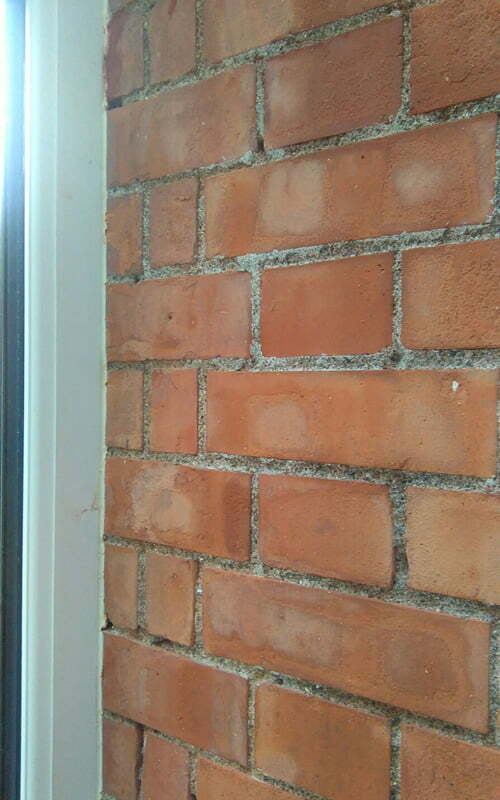 A chemical clean is a safe method suitable for cleaning bricks without causing damage to them. Power washing and sandblasting removes the surface layer off your brick and in turn renders them permeable to water. Bricks will deteriorate rapidly once water is allowed in. Paint is the hardest substance to remove from bricks, but if you want to reveal the true beauty of your building it has to be done. If considering removing paint from your brick facade you should ask yourself: Why were the bricks painted over in the first place? Was it to cover up some underlying problem? 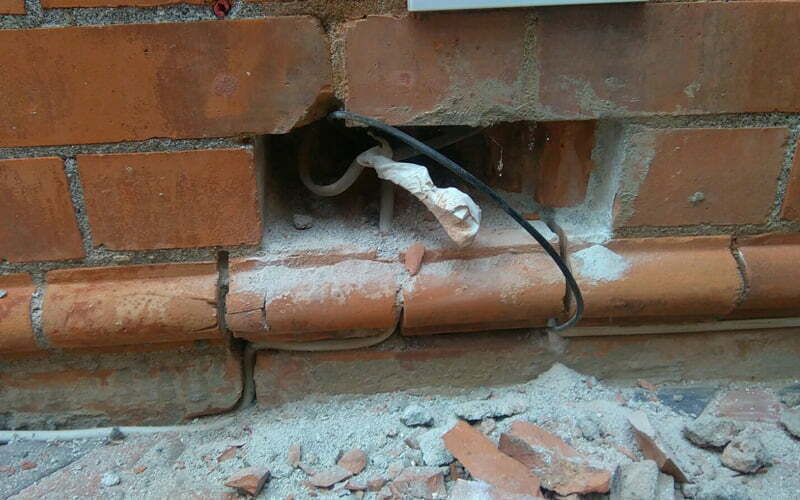 If there is damage to your red brick facade, this cannot be assessed until all paint and contamination is removed. The safest way to remove paint from your red brick facade without causing damage to your bricks again is to use specific chemicals. Paint stripping chemicals are worked into the brick and rinsed off using low-pressure water and steam. A poultice may need to be applied and left to help strip away the paint. It can take several attempts to safely remove paint from your brick facade. The more layers there are, the type of paint and length of time it has been there determine the number of applications required to fully remove. The cost to remove paint from bricks and granite facades often surprises people, it is however a very labour-intensive job requiring the use of a lot of very expensive chemicals and poultices. Safe access, such as scaffolding, will also hike up the price. As Heritage Contractors, we carry out all facade cleaning works to best conservation heritage principals. The chemicals we use are sourced from Contec – a specialist conservation heritage supplier – and Tensid. The safe methods we use mean your bricks are restored without causing any damage and ensure they are preserved for centuries to come. Once the substrate is exposed, we can assess for repairs. We have a team of highly skilled craftsmen who can restore intricate, decorative brick and stonework to their original state. 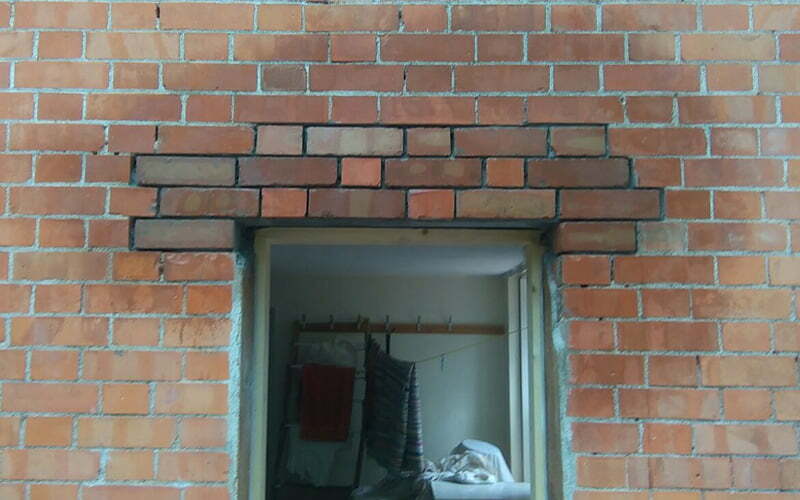 We can source replacement bricks that have gone beyond repair. 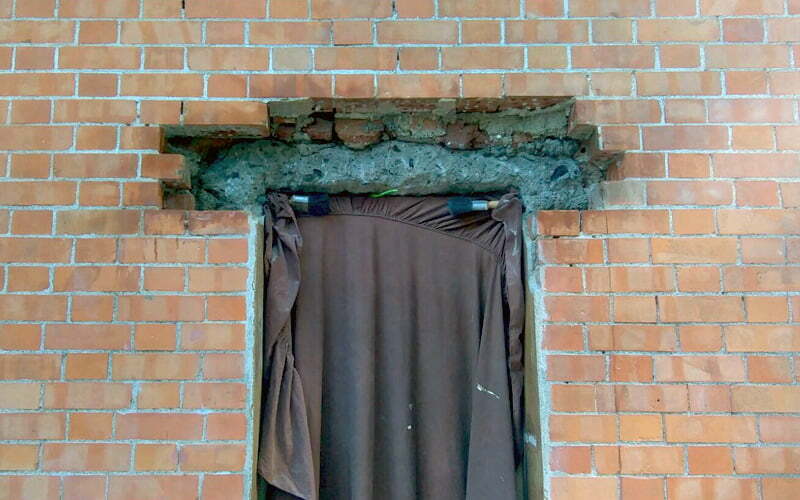 We can carry out mortar repairs to make surfaces safe, while preserving their heritage. 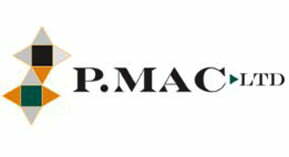 We will also carry out spot pointing and repairs where required. If you want to know more about brick cleaning and restoration, take a look at our other blog posts on this topic or flick through some photos of our work in this area.